Richard Finkelstein is a member of the Trusts & Estates practice, concentrating in estate planning/estate administration, tax and business planning for individuals and businesses. Richard counsels individuals, families and their businesses in estate planning and business succession planning. He drafts wills, revocable trusts, irrevocable life insurance trusts, charitable trusts and other instruments effectuating the lifetime and testamentary transfer of assets. He offers counsel on personal and corporate income tax planning. Richard also counsels clients regarding planned charitable giving and advises on estate and succession planning for family businesses, as well as overseeing the implementation of the related instruments. Richard represents and counsels estates, trusts, beneficiaries and charitable organizations in a variety of related matters, including issues related to the performance of fiduciaries in the administration of trusts and estates. He works with family members and financial institutions named as executors and trustees to provide counsel in post mortem situations. Richard has represented clients before the Internal Revenue Service and state tax agencies. He prepares business agreements relating to closely-held businesses, including formation of corporations, partnerships and limited liability companies, as well as shareholder and partnership/member agreements. He also negotiates and structures joint ventures, acquisitions, dispositions and other transactions. 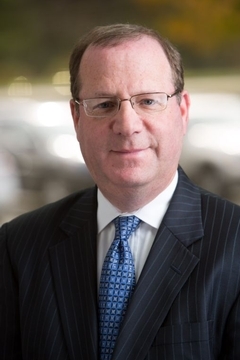 Richard has served on the Board of Advisors of the Community Foundation of New Jersey, and serves as Trustee of some public charities and private foundations. A frequent lecturer on estate planning and administration issues, Richard has appeared before bar association panels, accounting societies and corporate groups.